This workout program is your one stop shop for strength, size and power. This program focuses on building strength through powerlifting techniques, and then maximising size and definition with bodybuilding exercises. 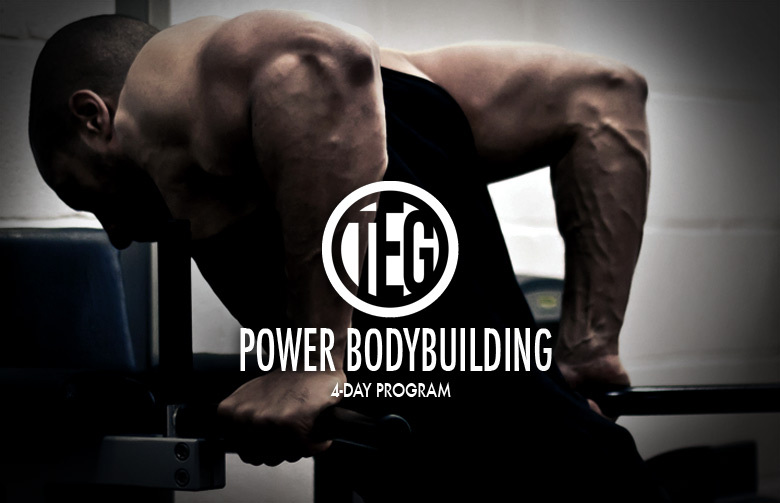 The aim of this plan is similar to our Strength & Hypertrophy program, but instead of having separate days for back, chest & shoulders, opposing muscle groups are combined into two workouts: one for horizontal push/pull movements, and another day for vertical push/pull exercises. Each day begins with 5+ sets of 3-5 reps using heavy weight (approx. 85% of 1 rep. max). This is aimed at overall strength improvement and is therefore performed on compound movements such as squats and deadlifts which recruit large muscle groups. For these low rep sets, warm up with lighter weights first, and only start counting the sets when you are at at least 70% of your 1 rep max. You should also be taking longer rests – between 3 and 5 minutes. After completing the strength section of the workout, the focus is purely hypertrophy, this means high reps, short rest periods, supersets and dropsets. The focus should really be performing the movements slowly with good form and fully contracting at the top of each movement. The weight is less important as we have already focused on building strength with the first section of the workout. As with our Strength and Hypertrophy workout, abs and calves are alternated each day, and there are 3 ab exercises and 3 calf exercises to choose from. Mix these up to ensure you are working the muscles differently each session. By this point you should be ready for a rest. Remember, rest is equally important as intense training. At this stage you will have earned another rest day. Use these days to eat well, relax and prepare yourself to train hard again. Use this day to rest if you feel your body requires it, or if you take part in exercise outside of the gym, this is the best day to do so.